While a thinning hair or baldness may have had something in common for most people, it nonetheless differs to some degree from one person to another. There are many types of hair loss and each type will have its specific treatment. It is very important to be able to recognize the type of hair loss a person has as this will lead to the figuring out for the right treatment plan. Alopecia Universalis. This type is the complete and rapid loss of all scalp and body hair which can occur at any age. Androgenic Alopecia. This type is common for both men and women. It is called male pattern baldness among men which is the thinning or loss of hair starting from the crown of the head. Alopecia Totalis. This type is believed to be caused by an autoimmune disorder. People who are suffering from this type of hair loss will have lost all of their head hairs. Alopecia Areata. Known as the “spot baldness”, this type of hair loss occurs when the body’s own immune system turns against itself targeting the hair follicles. 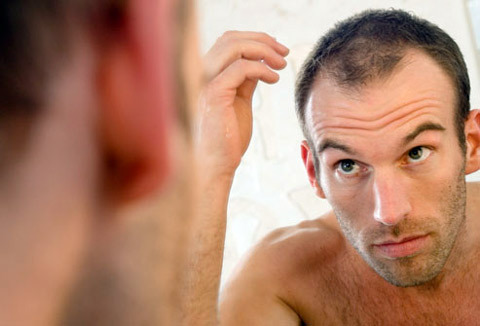 It has been suggested that genes may have played a significant role for people suffering from this type of baldness. Marginal Alopecia. This is another name for and closely associated with Alopecia Areata. Alopecia is a Latin word which in English means “hair loss”. Ophiasis. This is a form of Alopecia Areata by which the hair loss shapes like a wave encircling the head. Ophiasis is derived from the Greek’s word for snake which is “ophis” because of the hair loss’s striking resemblance to the shape of the snake. Traction Alopecia. This type is the gradual losing of hair by which a pulling force is being applied to the hair constantly. Most prone to this are people who wear tight braids, ponytails, and pigtails leading to the pulling and breakage of hair. Chignon Alopecia. This is a form of Traction Alopecia by which the onset of hair loss starts at the crown. This may result from prolonged styling of the hair in a tight bun. Hypotrichosis. This type is a condition of abnormal hair patterns or, in most cases, there’s no hair growth at all. 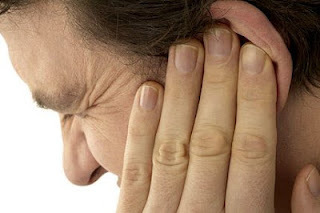 Telogen Effluvium. This type refers to a temporary hair loss by which the follicles are being rushed toward the resting stage prematurely due to a disease or, even stress. Tracing for the causes of hair loss may lead us to many a theory. Genetic is one thing, and stress, poor nutrition, and a serious disease are another. According to a popular belief (and even medically acclaimed), hair loss could be inherited by men from the maternal side of the family and by women from the father’s side. A genetic study on how baldness is being transmitted from one generation to the next may give us a clue but it may not always be the case as these hair loss genes could, as well, strike randomly for every generation. It has become an accepted fact that a thinning hair may have been the result of the aging process. Many people will most likely notice this physiologic change of their hair lines in their thirties and early forties although some will have been losing hair much earlier even into their twenties. To sum it all up, hair loss could have been the result for a lot of causes. It could be acquired through the genes, poor nutrition, stress, hormonal changes, chemical exposure, and more. Male pattern baldness or also called as the Androgenetic Alopecia, is the most common hair loss in men; it is when a man’s hair follicles are most sensitive to Dihydrotestosterone hormone (DHT). The DHT will have a negative impact on the hair (especially the one on the top and front of the head) until it stops growing. This type of hair loss is usually genetically-based or inherited. Men who have showed signs of losing hair at an early age are the ones who will most likely to become extensively bald as they aged. Hair loss starts at the scalp and may differ in men and women. Based on a study, the number of hair strands to fall per day is normal when it is not over 150. Hormonal changes are most likely to be the main cause for hair loss in women. A woman will undergo at least three stages of hormonal changes in her lifetime that may cause a reversible hair loss: puberty, pregnancy, and menopause. Any woman may develop a female-pattern baldness which is the thinning of hair in the entire scalp. Prior to a woman’s reaching the menopausal stage, a hormone called estrogen helps to counteract the bad effects of DHT, but as the estrogen levels decline, women’s hair follicles fall prey to the damaging effects of DHT.